The swan stands in the Christian context as a symbol for the reformer Martin Luther. 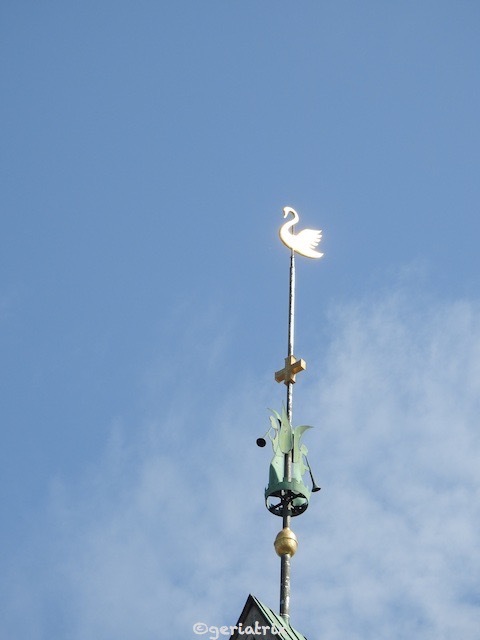 The swan is therefore found in many Lutheran communities instead of a weathercock on the spire, especially in northwestern Germany and the Netherlands, where the so-called “Luther swan” made clear the confessional demarcation to the Reformed communities. The swan I found sits on a top of a church in Emden/Germany. This is terrific, and thank you for the history behind it too. My husband was brought up in the Lutheran Church. Thanks for taking part in the challenge. I’ll include a link back to your post in next week’s post.